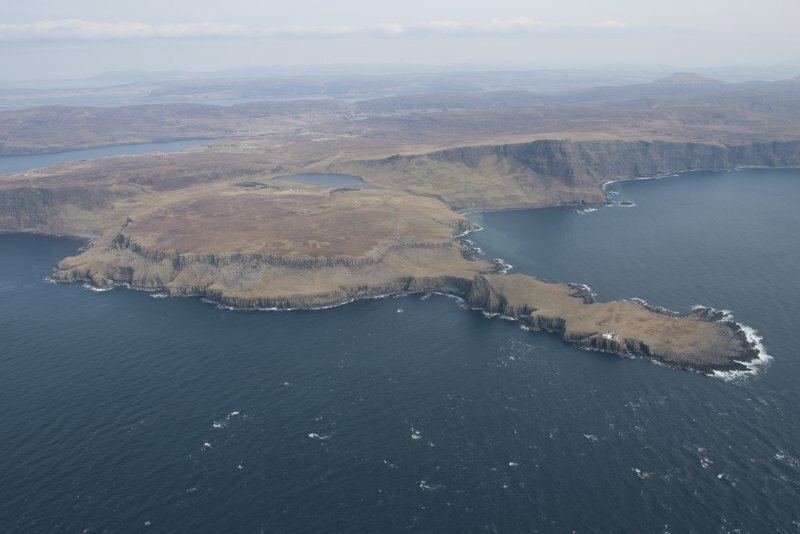 General oblique aerial view of Neist Point Lighthouse, looking NW. 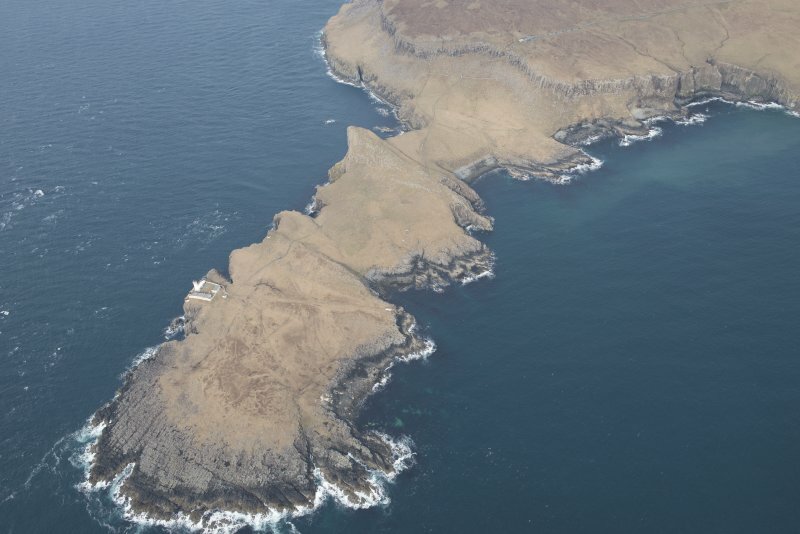 Oblique aerial view of Neist Point Lighthouse, looking N.
Oblique aerial view of the Neist Point Lighthouse, looking NE. 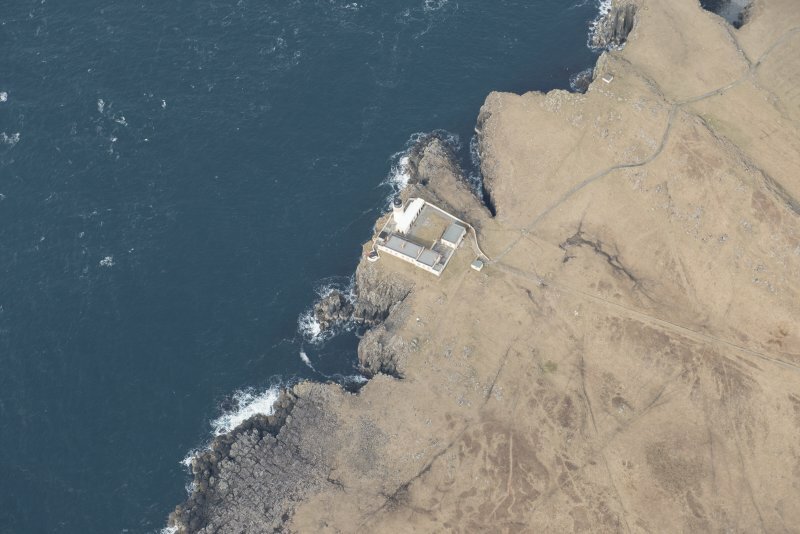 Oblique aerial view of Neist Point Lighthouse, looking WNW. 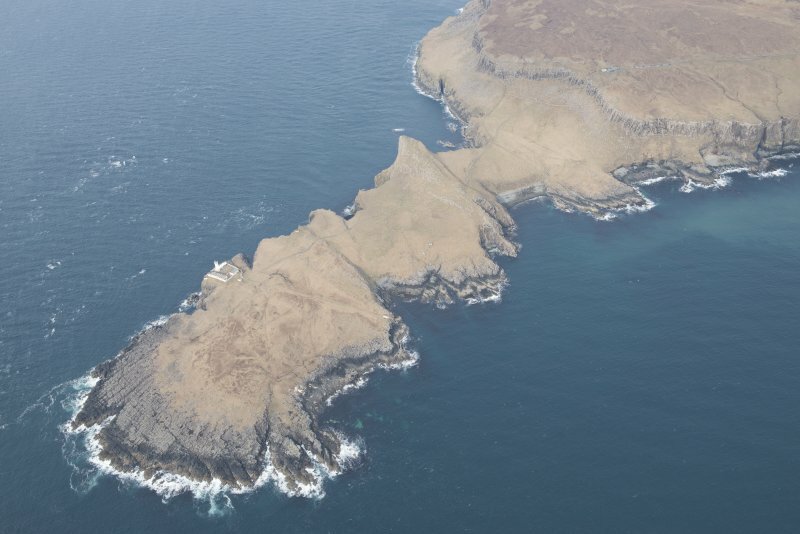 General oblique aerial view of Waterstein and Neist Point, looking ESE. 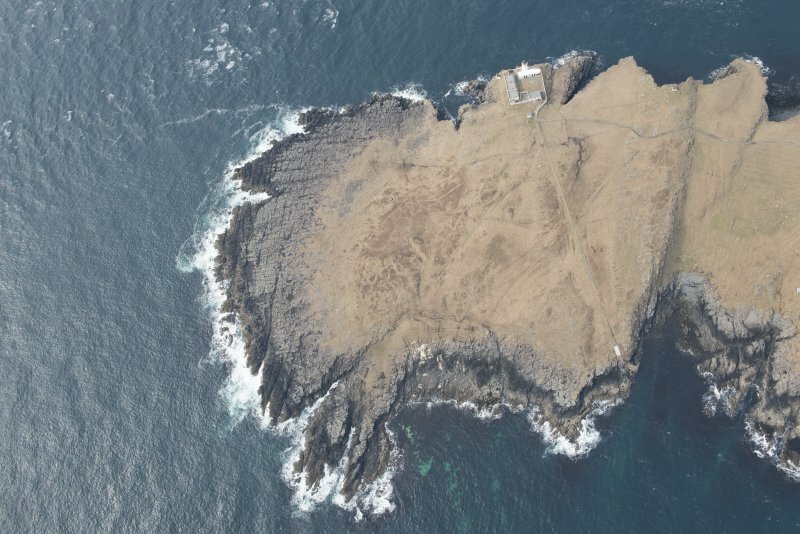 Oblique aerial view of the Neist Point Lighthouse, looking ENE. 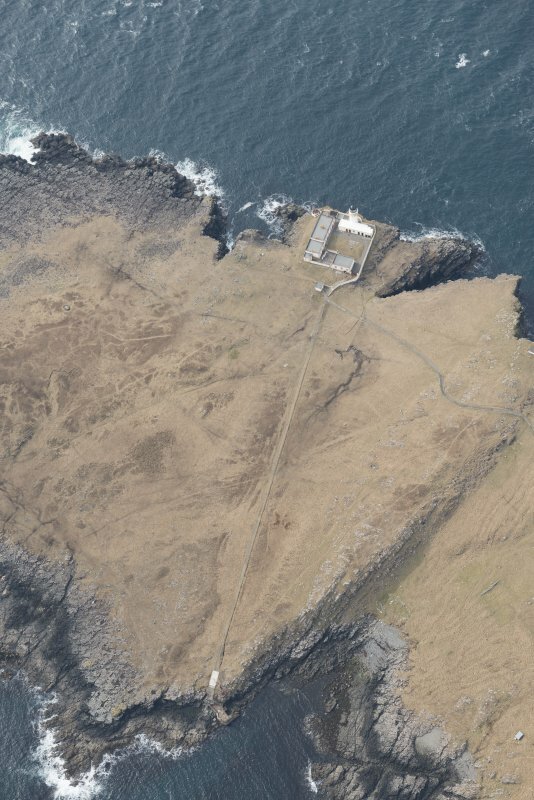 General oblique aerial view of Neist Point Lighthouse, looking WNW. 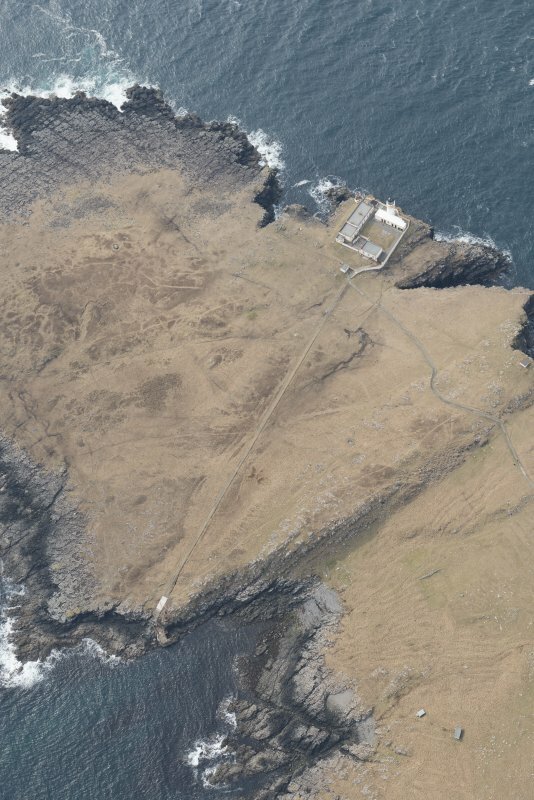 General oblique aerial view of Neist Point Lighthouse, looking N.
Oblique aerial view of Neist Point Lighthouse, looking NW. 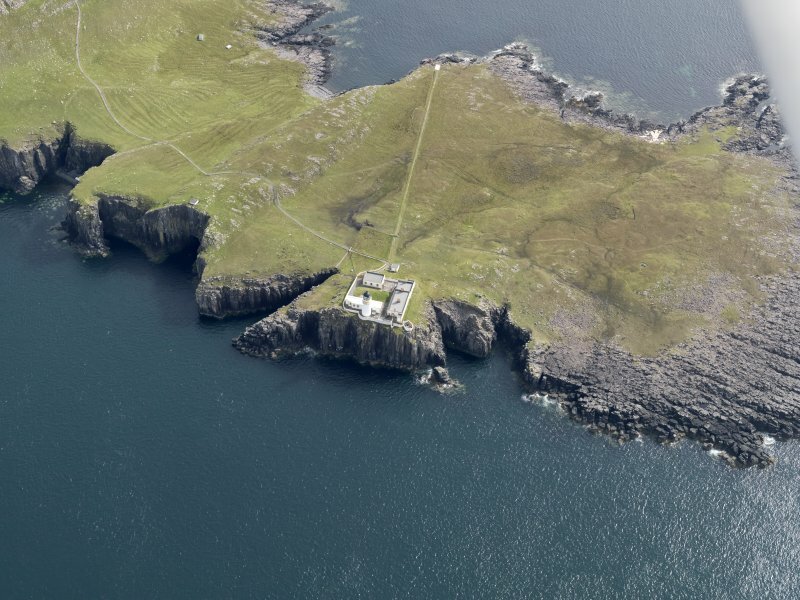 Oblique aerial view of Neist Point Lighthouse, looking SW.
Oblique aerial view of Neist Point Lighthouse, looking W.
Oblique aerial view of the Neist Point Lighthouse, looking NNW. 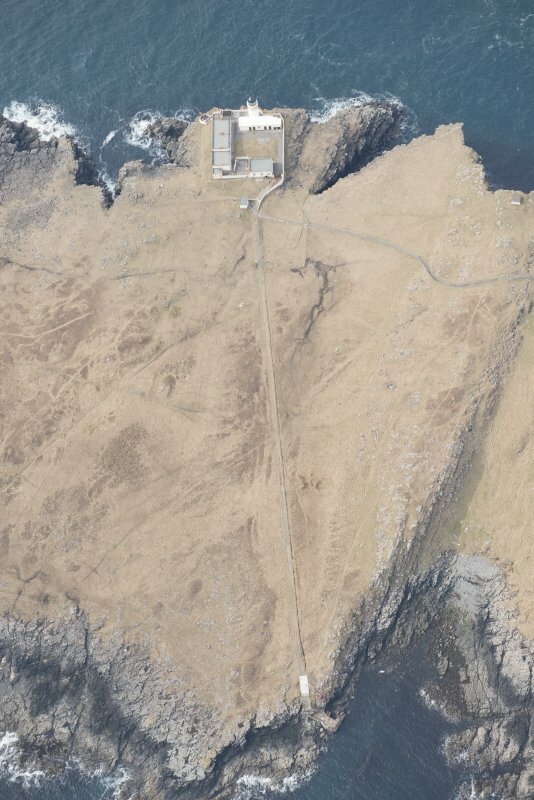 Oblique aerial view of the Neist Point Lighthouse, looking E.
View of Neist Point Lighthouse, Duirinish, Skye. 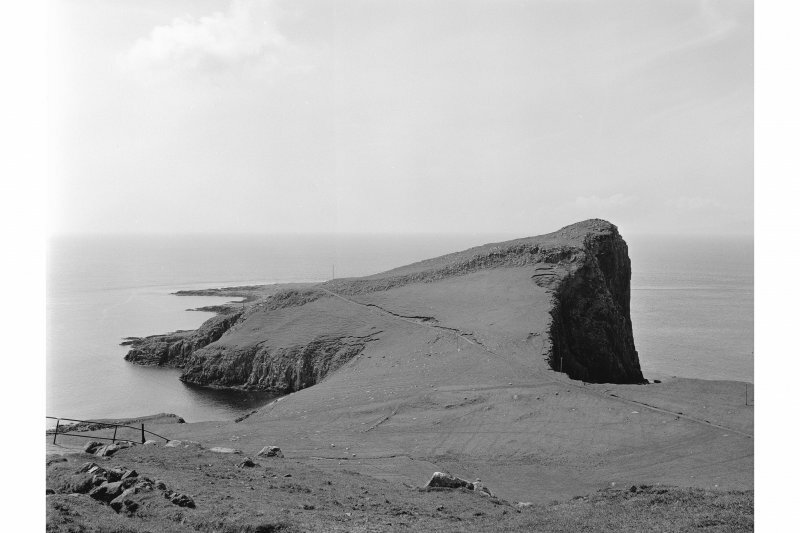 Neist Point Lighthouse, D. Alan Stevenson, 1909, a three-storey tower rising beneath the cliff-girt plateaux of Waterstein. 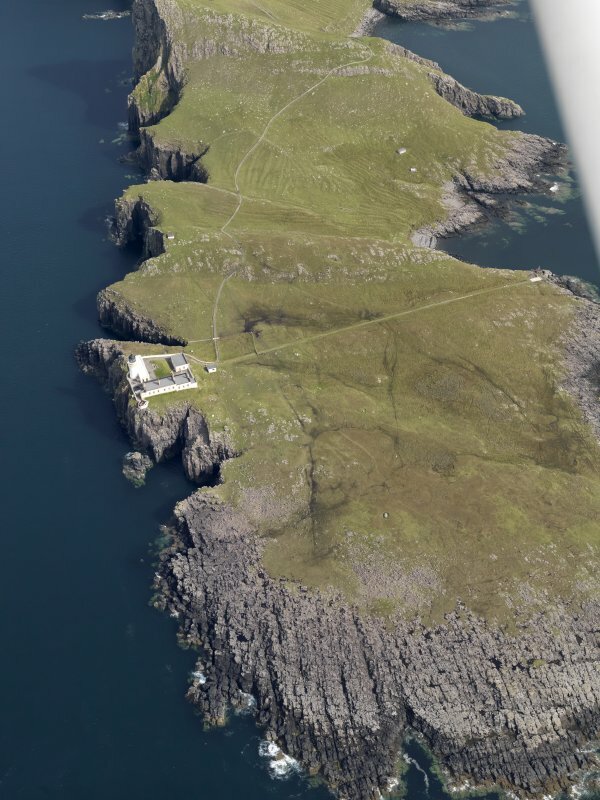 Skye's westernmost beacon is larger than its Victorian predecessors, but the brightly margined keepers' cottages (now holiday lets) are noticeably less stylish. 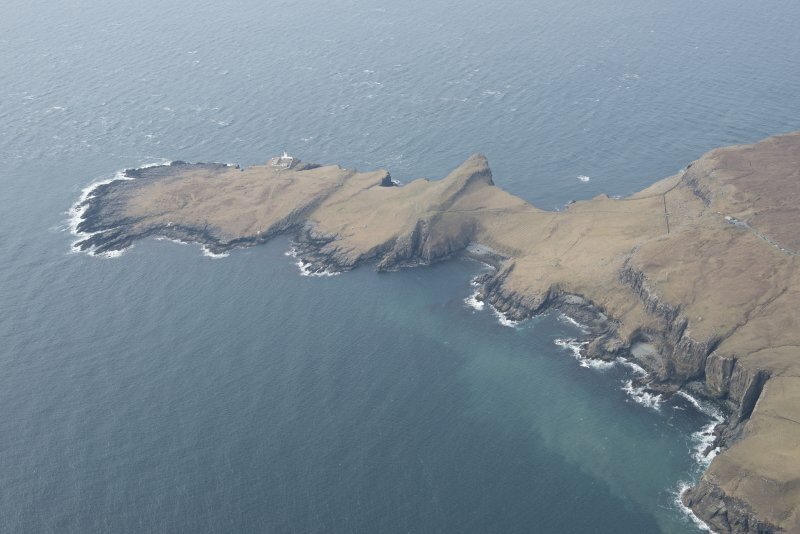 (Location cited as NG 127 472). 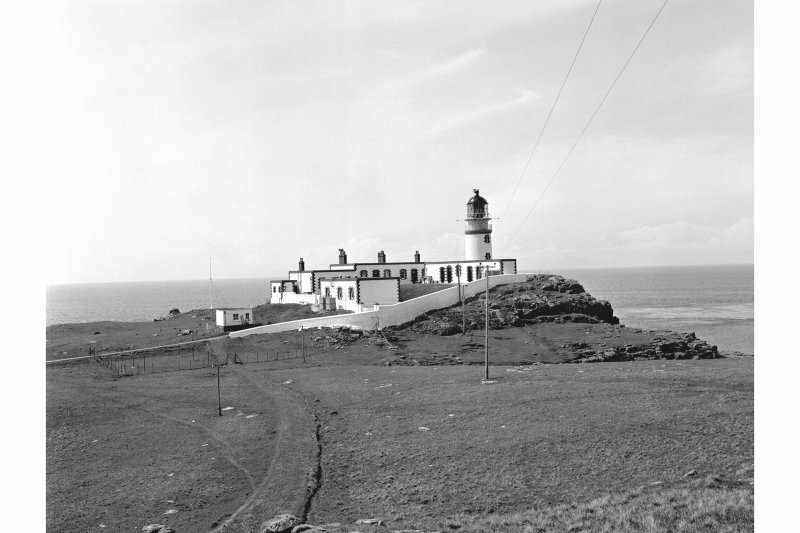 Neist Point Lighthouse: built 1909, engineer D Alan Stevenson. 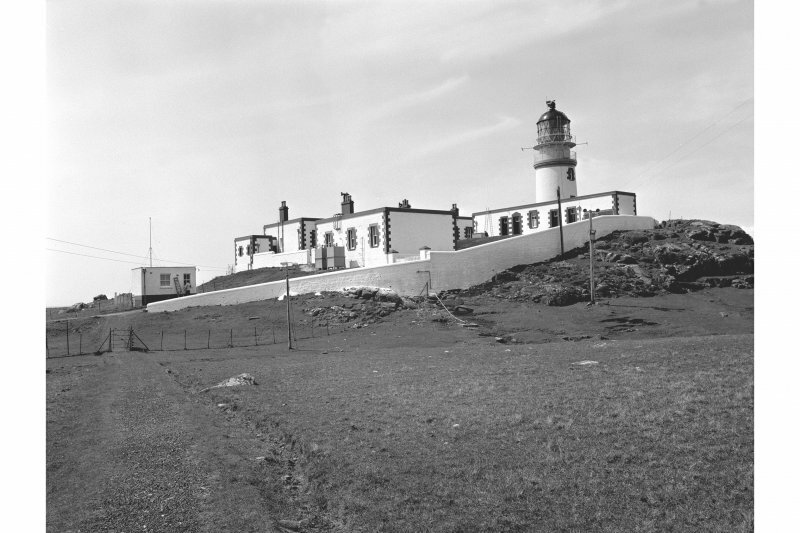 A short circular-section tower rising from a single-storey block of ancillary buildings. 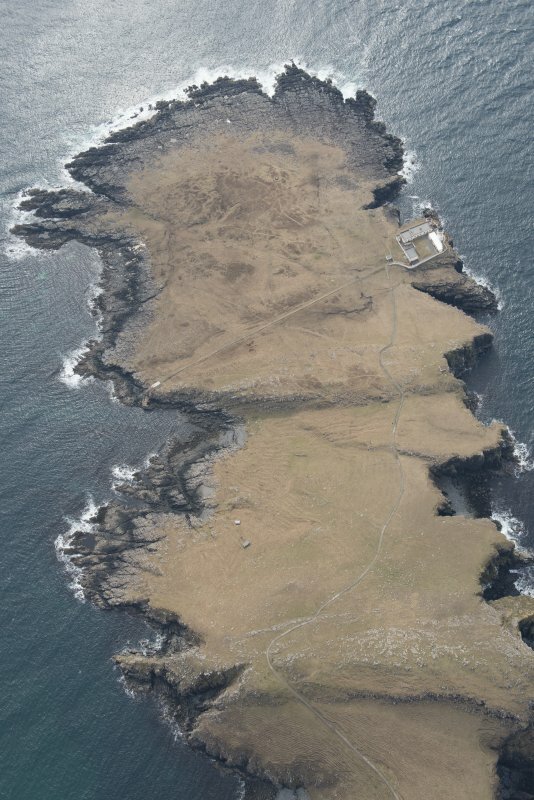 There is a flat-roofed range of keepers' houses. 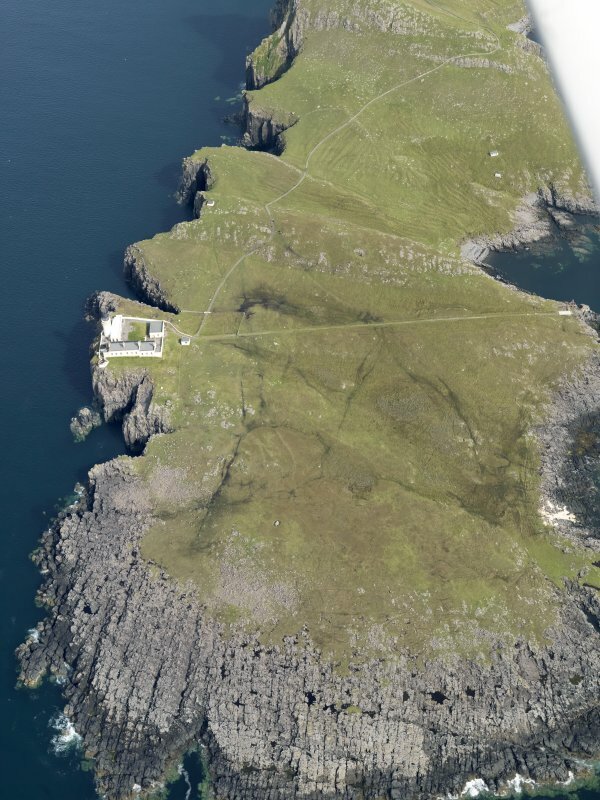 All the buildings have prominent quoins. 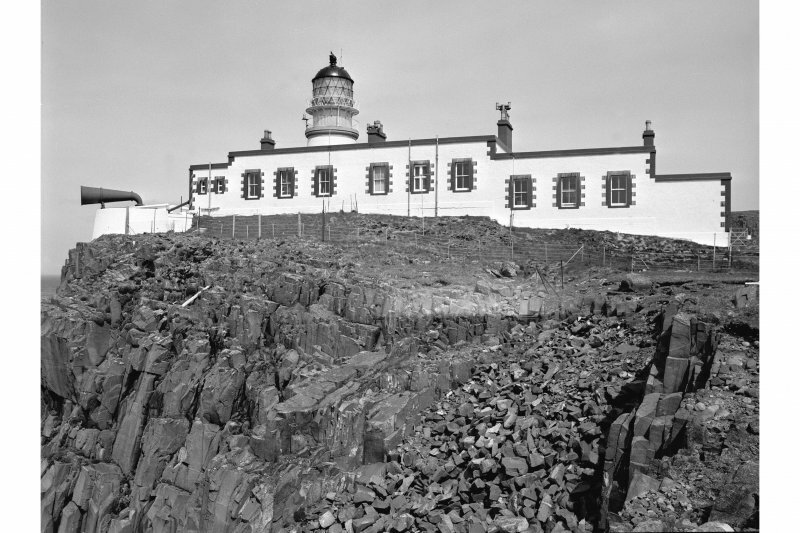 The lighthouse is served by a small concrete pier, with two derrick cranes, one for light and one for heavy (up to 3 tons) goods. 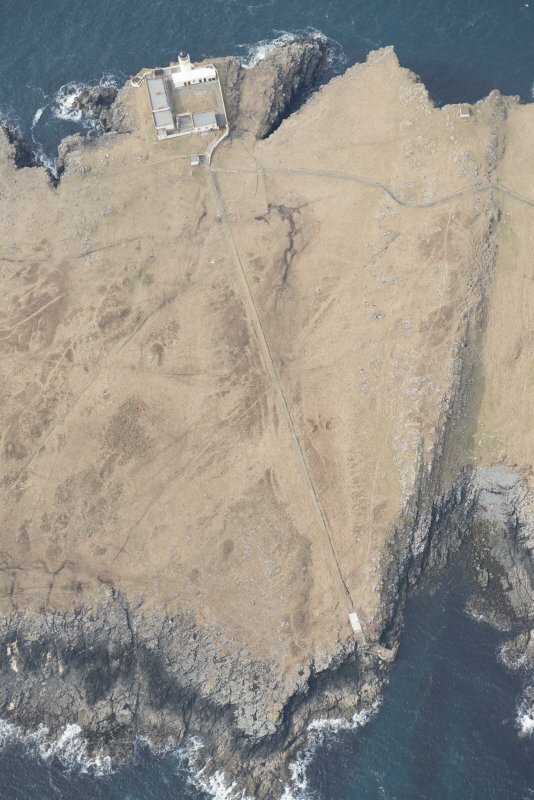 There is also a telpher line linking the peninsula with the public road. 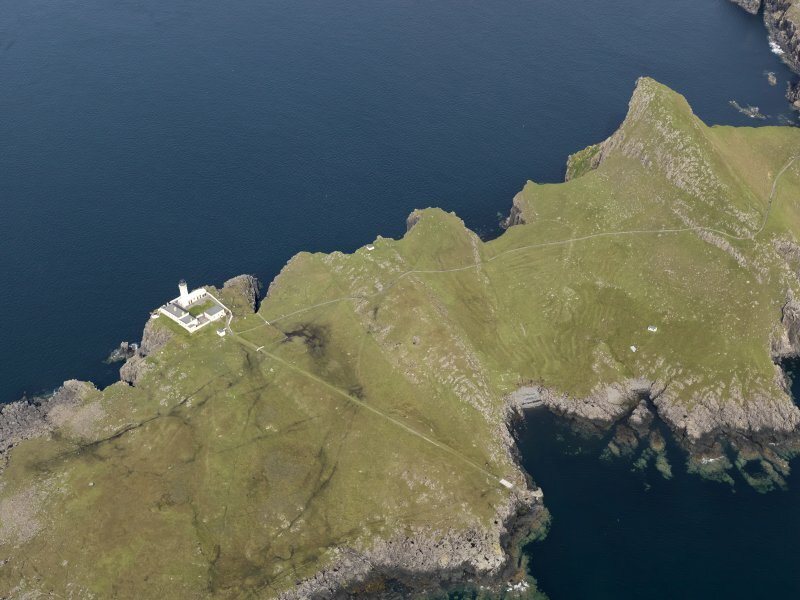 This rock or island lighthouse occupies a high promontory situation on the westernmost point of Skye, and at the base of the Duirinish peninsula. 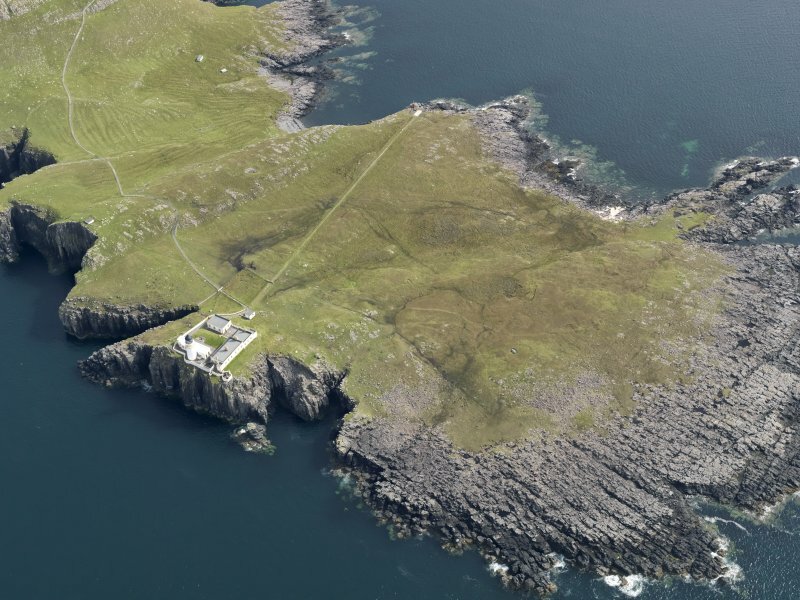 It was built in 1909 by David A Stevenson in 1909, and automated in 1990 to serve as the control station for the Usenish lighthouse (NF83NE 7) on South Uist. It is currently in residential use. 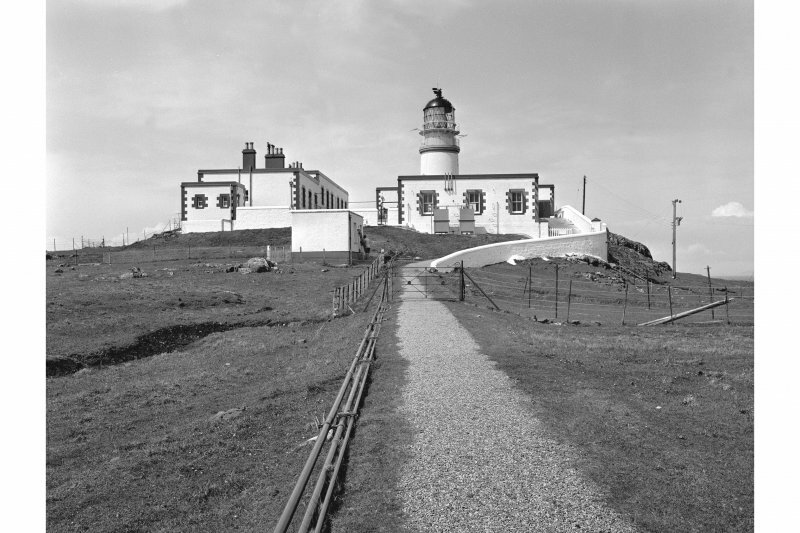 The lantern, optics and winding gear formerly used in this lighthouse have been installed in the Scottish Lighthouse Museum, Fraserburgh (Kinnaird Head Lighthouse: NJ96NE 7). 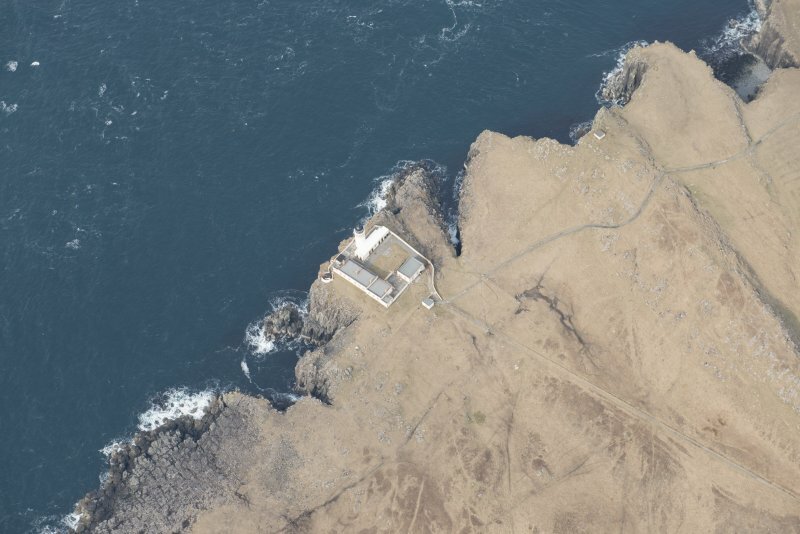 Information from RCAHMS (RJCM), 5 August 2008. R W Munro 1979; K Allardyce and E M Hood 1986; K Allardyce 1998; S Krauskopf 2001.